Ellie and Claire are both crazy about this show (so am I). Ellie says: "I'm totally obsessed with Riverdale, to the point of yelling at everyone I know IRL to catch up so we can talk about it. It's totally trashy and mindless, which makes it basically the perfect teen drama – I've been describing it as Gossip Girl meets Twin Peaks. It's based on the characters from the Archie comics, but in the first episode one someone gets murdered, and everyone's trying to figure out who did it. New episodes are out on Netflix every Friday (or it airs on Thursday night on the CW if you're in the US), and I can guarantee that if you watch it, your Friday nights are about to get even better." Alternatively, I finally watched Bo Burnham's comedy special Make Happy on Netflix this week, and I can't recommend it enough. 2. Read All Our Wrong Todays by Elan Mastai. This lovely new novel is It's a Wonderful Life meets The Jetsons. Tom, who lives in an alternate 2016 where all the sci-fi fantasies of the 1950s are a reality, suddenly finds himself stranded in our 2016, where he rediscovers his family, friends, and self. Our check out one of these wonderful longreads from the BuzzFeed UK office. 3. Listen to Sherlock Holmes: The Definitive Collection read by Stephen Fry. Sherlock Holmes. Narrated by Stephen Fry. Need I say more? Honestly though, what a perfect way to get away from it all while you're cooking dinner, commuting, or tidying up this weekend. Alternatively, Rebecca suggests Pod Save America. "It's the first of a collection of podcasts put out by newly formed Crooked Media, a crew of former Obama staffers freshly off White House duty. Pod Save America debuted in January 2017, and features discussion and interviews about the national political and media climate in the US, including both in-depth analysis and plans of considered action for the public. It strikes a great balance of being both informative and funny – welcome when politics can seem unfathomably bleak – and offers an engaging insider's perspective at its inner workings. It might sound America-centric, but the conversations about media, particularly, are relevant all over the world. And obviously, the Trump administration's actions are global concerns." 4. 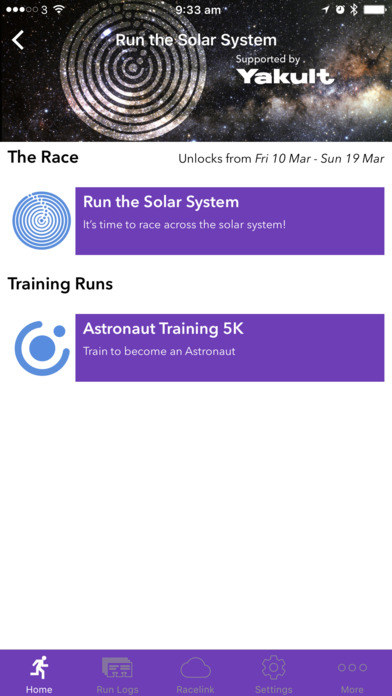 Download Run the Solar System. This immersive running app is perfect for fans of Zombies Run. 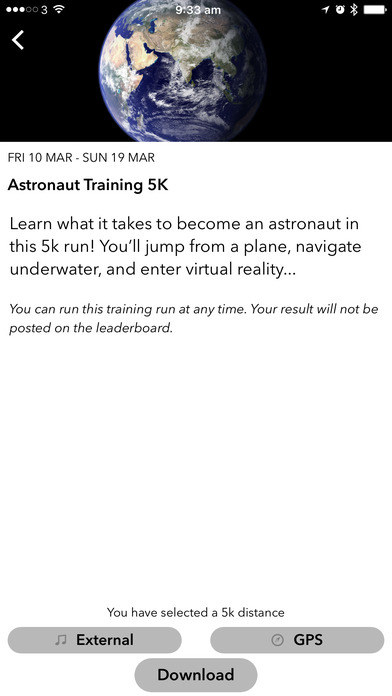 Designed specially for British Science Week and offering plans to train you up for 10k and 5k runs, the app takes you on a virtual run through space to make your morning jog way more interesting and educational. Or check out the delightful game Word Cookies! 5. Cook this masala frittata. I made this for brunch a few weeks ago and I can't stop thinking about it. Adding curry paste to the sautéed veg made my eggy breakfast such a new experience and I'm wild about mixing it up with an avocado salsa. Protip: I baked mine after sautéing the veg instead of frying up the whole thing so it would stay nice and fluffy. Or for something sweet, how about this crepe cake? 6. Try your hand at gardening. Ailbhe says: "My friend Alice has just written a really helpful book for rookie gardeners. She's been growing stuff on her London balcony and documenting it via Instagram. "It inspired me to get on the bus and pick up some planters and seeds. The worst thing that can happen is that they don't grow, right? And I feel such pride in watching my seedlings blossom as I turn the key in the door on the way to work." Or treat yourself to a restful weekend with these relaxing products. 7. Follow @zoesees on Instagram. I love Zoe's day-in-the-life doodles. They're relatable, funny, sweet, and just what the doctor ordered for brightening up your feed. Also check out these stunning accounts. This is a weekly series! Leave your suggestions in the comments below for a chance to be features in upcoming weeks.